The whole information is printed in decals that allow you to decorate the jewel-box. 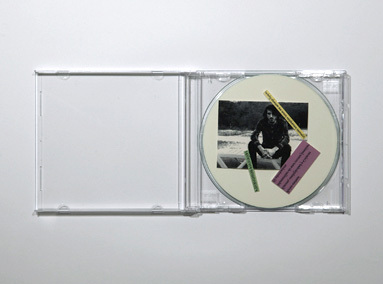 The transparent jewel case is the perfect case for this because it contributes to the overall minimalist feel. This concept is very similar to the last three items of this post. Here’s a DVD compilation of the work of anthropologist and filmmaker, Julia Yezbick designed by Benjamin Gaydos. 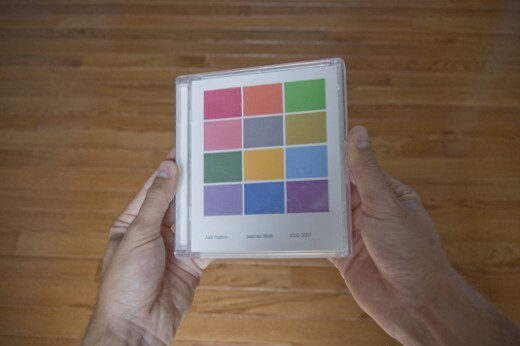 I like how the clean jewel case emphasizes the colored squares. I believe this won’t work that well if it were packaged in a black jewel case or if it’s printed on a CD wallet. 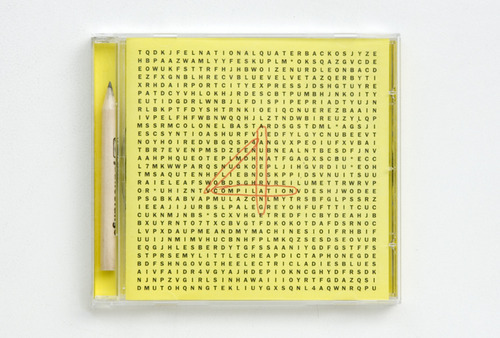 The clear jewel case gives it a clean, fresh-from-the-store look. It’s simple but we know it’s not just a lazy design. 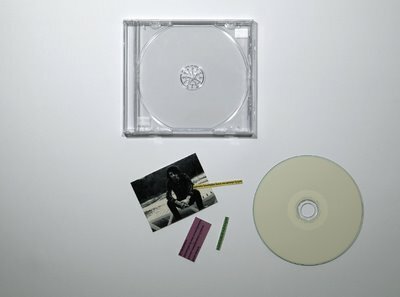 Plain-looking paper, thin “design- less” CD case and black and white photos. Clean and lovely. 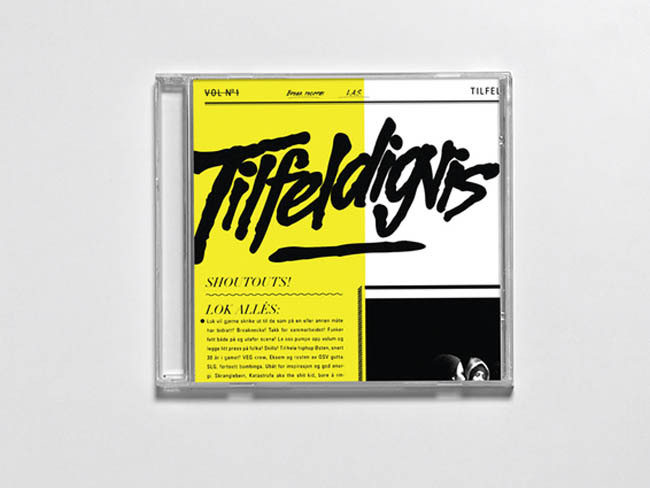 Album cover and logotypes made for Breaknecks and Lok Allé’s collaboration album “Tilfeldigvis”. We can choose our own cover out of six options. Designed by Ludvig Bruneau Rossow, Norway. 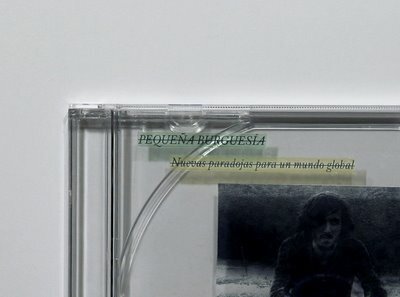 I love how the curved edges of the clear jewel case matches the typography and the edges of the computer monitor. 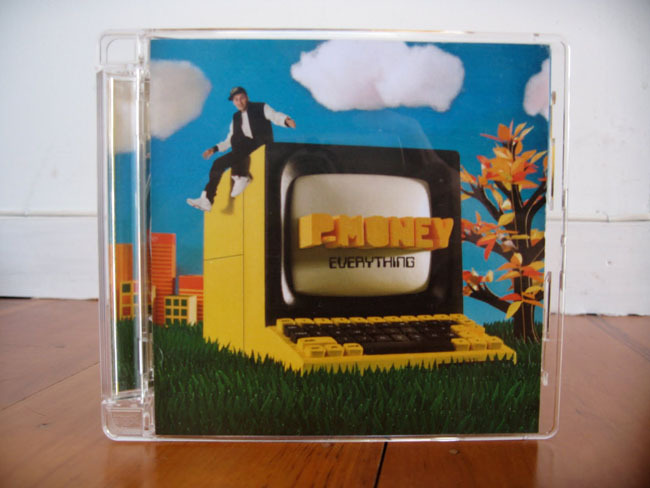 This is a compact disc labeling concept. Each waveform accurately depicts a complete song in a 1-inch square. Designed by Joshua Distler. Again, minimalist design executed well with the help of the extreme simplicity of the clear jewel case. 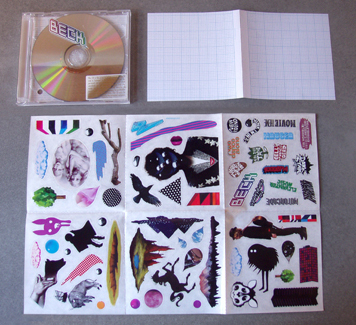 The packaging for Beck’s latest album, The Information, consists of a blank grid cover and a random set of stickers for each release designed by various artists. The idea is to mix and match as you choose to create your own custom cover. 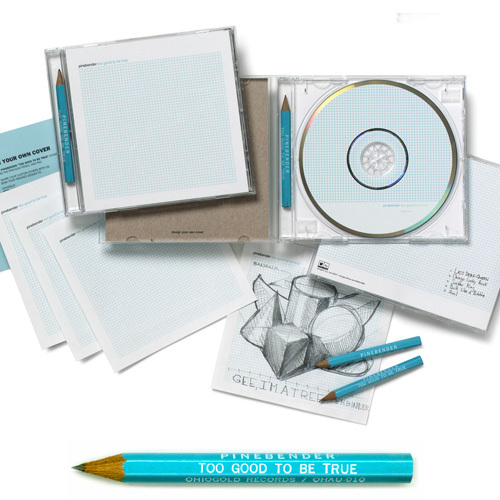 This CD cover/packaging design by the folks at PLEASELETMEDESIGN is clever in its use of the case to display a pencil which completes the ‘kids’ games’ feel. 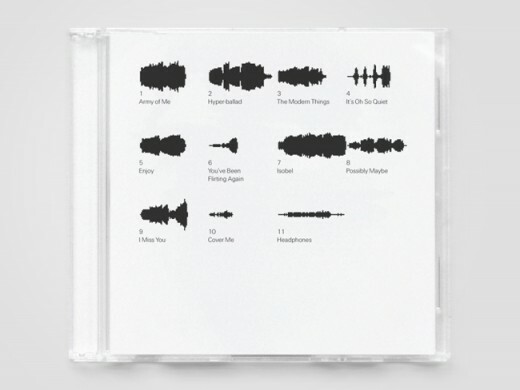 You can find song titles here. This one has a pencil, too. 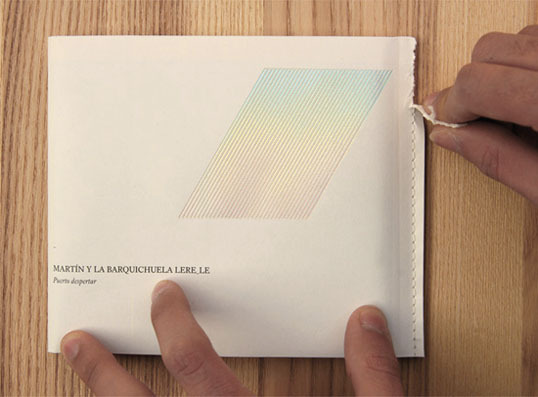 This design received awards back in 2002. 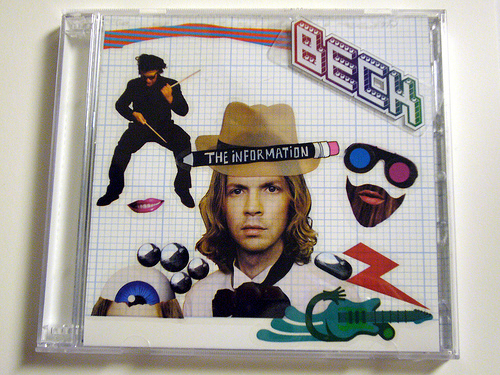 Do you also think Beck’s The Information album (above) copied this concept? Yeah, me too. 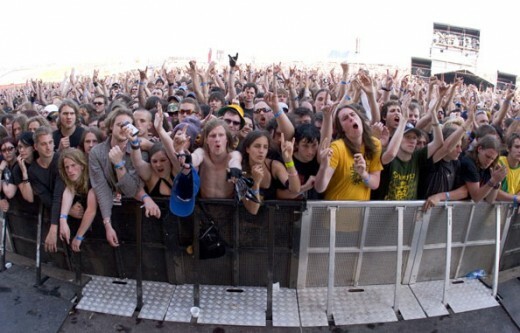 So you see folk? 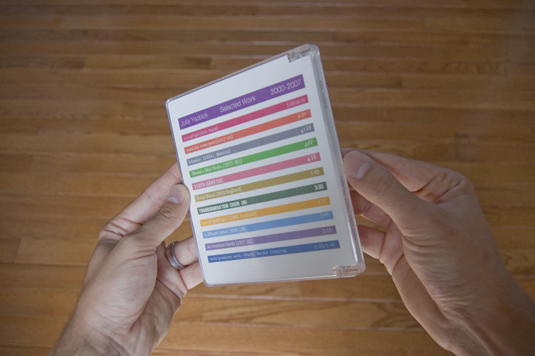 Never underestimate the good ol’ jewel case.